Now that you know what needs to be done to get your visa, let’s talk about the most common ways to enter Myanmar. Currently, travelers are only allowed to walk into Myanmar through Thailand as the land borders with Bangladesh, Laos, and China are closed to foreigners. If you’re coming from India (Moreh, Manipur State) you must acquire a permit which is obtained separately to your visa. 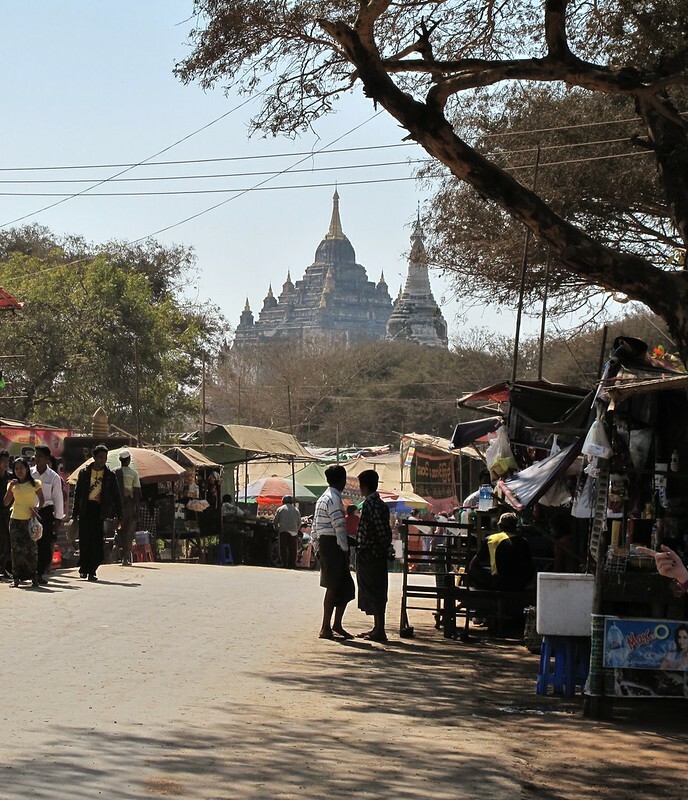 Read Myanmar Visas for Foreigners where we’ve gathered all the info on Visas so that your trip can get off on the right foot. We covered all the bases: from the application process to required documents and costs. • Nay Pyi Taw International Airport. As many airlines fly to Myanmar from Bangkok, you are likely to make your layover there. And it’s possible that you’ll have to change airports (from Suvarnabhumi International Airport to Don Mueang) if your next flight is on a low-cost airline. If so, there are free shuttle buses linking the two airports. For more info and timetables on the Free Shuttle Bus service go to www.thaizer.com/free-airport-shuttle-bus. Standard airlines such as ThaiSmile, Bangkok Airways, and Myanmar Airways International always depart from Bangkok Suvarnabhumi International Airport. Low-cost flights from Bangkok (Don Mueang Airport) to Yangon take about 1h20 and cost between €100 and €150 — depending on the time of year. *Tip: install and check the Air Asia app for deals that can’t be found on the website. You can save up to 20% off. As the airport is a 30-minute drive from Yangon, the easiest way to get to the city is by taking a taxi which shouldn’t cost more than 8000 MMK (€ 4.90). However, buses can save you money if you’re traveling alone or can’t find other travelers to split the taxi fare with. To find the buses, exit the arrival Terminal and cross the parking space. A bus ride to Yangon cost 500 MMK (€0,30). Low-cost flights from Bangkok (Don Mueang) will take 2 hours to reach Mandalay. Mandalay Internation Airport is a 1-hour taxi ride from Mandalay city center. Fares on taxis with AC cost up to 15000 MMK (€ 9,15), but if you can handle the heat, taxis with no AC are a bit cheaper. Besides taxis, we’re not aware of any other transportation to the city. Myanmar National Airlines have many domestic flights — that even locals try to avoid due to a bad reputation. Flights range from € 50 up to € 250, depending on the destination and time of year. In April during the Thingyan Water Festival, flights sell out super fast. Domestic flights are infamous for leaving earlier than the scheduled time. Also, have in mind that while flying can save you time, you’ll spend a lot more money than if you travel by land. Cover photo by Hai Yang.